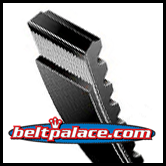 Home > Variable and Multi-Speed Belts > MULTI-SPEED BELTS > 1922V806 Variable Speed Belt. 81.2" Length. Replaces 2060VB3022, Metric Belt 30V2045A22. 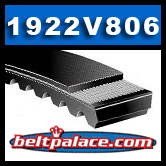 1922V806 Variable Speed Belt. 81.2" Length. Replaces 2060VB3022, Metric Belt 30V2045A22. Univex 1064505 Belt. Part Number: UNI1064505.